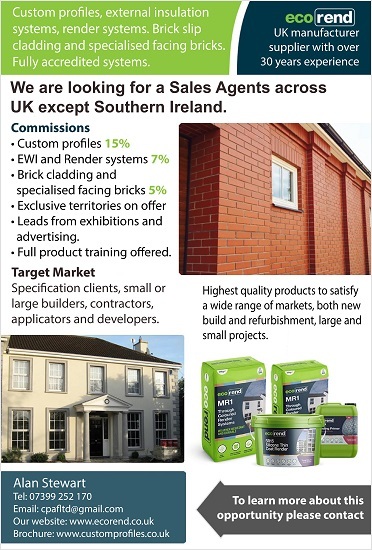 Custom profiles, external insulation systems, render systems. Brick slip cladding and specialised facing bricks. Fully accredited systems. We are looking for a Sales Agents across UK except Southern Ireland. • Leads from exhibitions and advertising. Specification clients, small or large builders, contractors, applicators and developer.